Note: The vegetables were all from our Good Food Collective share. They were fresh and delicious, a little taste of autumn. 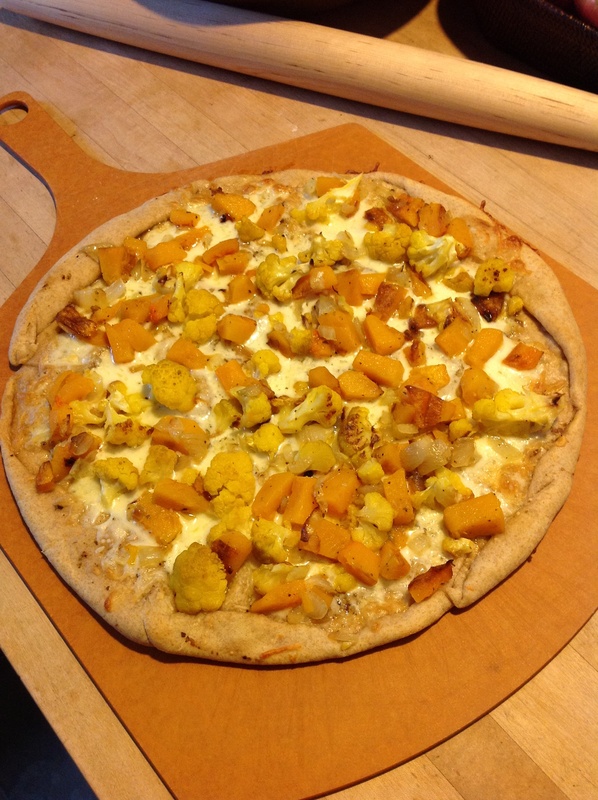 This entry was posted in Autumn Recipe, cauliflower, cheese, mozzarella, Onion, pizza, sauce, Seasonal, squash, veggie, White Pizza Sauce with Oregano and tagged butternut squash, cauliflower, mozzarella cheese, pizza. Bookmark the permalink.